We received a question from one of our clients. He ask us although the EVA Thermal Cutter can cut the EVA Interlayer Film laminated glass edges overflowed remains and PVB Interlayer Film laminated glass edges overflowed remains, can EVA Thermal Cutter cut the SGP Interlayer Film laminated glass edges overflowed remains? The reseason that the client asks this questions is because he believed that the SGP Interlayer Film is 100 times the rigidity of conventional PVB interlayer. SentryGlas®Plus interlayer (SGP) for laminated safety glazing is the latest innovation in DuPont’s family of glass laminating products. It extends the performance of laminated glass beyond current technologies. SentryGlas® Plus Interlayer offers five times the tear strength and 100 times the rigidity of conventional PVB interlayer. Because of its added strength, clarity, durability, fabrication and installation ease, it is an excellent candidate for demanding applications in the architectural market place. It can offer improved ballistic protection or thinner constructions than are now possible with conventional laminated glass. Even though SGP Interlayer Film is five times the tear strength and 100 times the rigidity of conventional PVB interlayer,our answer is Yes. The EVA Thermal Cutter can cut the SGP Interlayer Film laminated glass edges overflowed remains, because the EVA Thermal Cutter does not cutting by strength or sharp, but by ultra high temperature: 500℃. 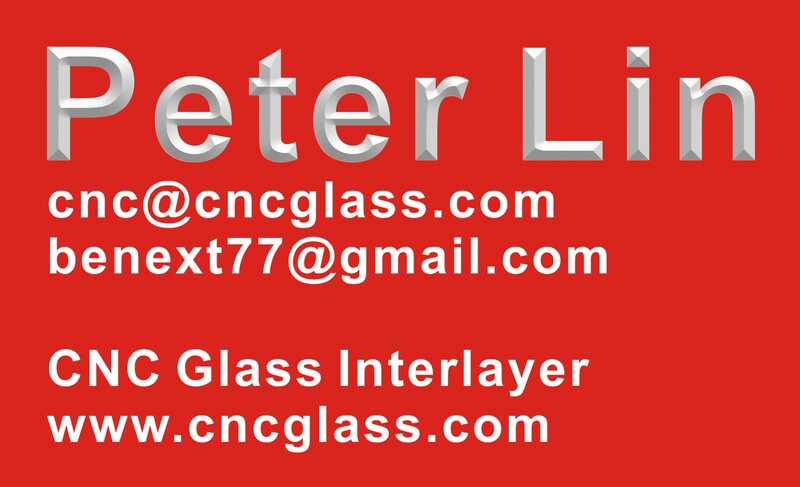 The SGP Interlayer Film is laminated at between 120 and 130 ℃ as the softening temperature is slightly lower than PVB Interlayer Film. The blade of the EVA Thermal Cutter can be up to 500℃ in seconds. The EVA Thermal Cutter use the ultra high temperature heat to cut the SGP Interlayer Film laminated glass edges.